William B. Kurtz, II, M.D. Dr. William B. Kurtz is board-certified, fellowship-trained orthopedic surgeon who specializes in hip and knee replacements. Dr. Kurtz holds a bachelor's degree in mechanical engineering from Rice University. He graduated medical school from The University of Texas Southwestern Medical School at Dallas with Alpha Omega Alpha honors distinction. He completed a residency in orthopedic surgery at Vanderbilt University Medical Center, followed by a subspecialty fellowship in adult reconstructive joint surgery at New England Baptist Hospital in Boston. He is now currently on the medical staff at Saint Thomas Midtown Hospital, Saint Thomas Hospital for Specialty Surgery, and Centennial Medical Center. Dr. Kurtz currently serves on the TOA board, the Faith Family Medical Center board, the Conformis surgical advisor board for both the customer knee and custom hip replacements. He has developed both knee and hip replacement implants and holds over 14 patents. 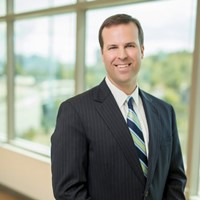 He is a member of the American Academy of Orthopedic Surgeons, the American Academy of Hip and Knee Surgeons, the Society of Arthritic Joint Surgery, the Mid-America Orthopedic Society, the Tennessee Orthopedic Society and the Vanderbilt Orthopedic Society. He has continued involvement in scientific research throughout his career. He published his study on the effects of bony impingement on range of motion in total hip arthroplasty in 2009 and his patented leg length study in 2011. He is currently involved in a 10 year prospective custom knee replacement study and has recently completed a study with Dr. Richard Komistek analyzing the kinematics of custom knee replacements. This kinematic study was recently accepted for publication in Journal of Arthroplasty. Dr. Kurtz is a native of Houston, Texas and has lived in Nashville since 2000. He is married to Emily Graham Kurtz, the medical director at M-power Health. They have three children, Claire, Christian, and Caroline, and a yellow lab named Merry. He is a member of Westminster Presbyterian Church and volunteers for Habitat for Humanity. He is also a member of the Nashville Entrepreneur Center and enjoys helping local Nashville healthcare startups. Map of William B. Kurtz, II, M.D.